Is your skin too dry to handle? Are you looking for something that can help you achieve a smooth and supple skin? Well, in that case, rose water is the key. It doesn’t matter if you have always had a dry and flaky skin texture or it has been caused due to the changing weather conditions, now there is absolutely no need to worry as you have an amazing solution at hand. By incorporating the use of rose water in your daily skin care routine, you can let your skin breathe with moisture and be ever glowing. Rose water has always been considered as a light weight face splash or maybe a cocktail supplement to many other products. However, there are a multitude of benefits that this tonic has to offer. Derived from the petals of a classic flower, the capable solution can help to clear skin pores, hydrate the blistering skin, and lighten the dark circles thus promoting a healthy skin. With the essential antiseptic and anti-bacterial properties, rose water serves as the cheapest and most convenient method of treating your skin. It is extremely gentle on the skin and keeps it problem free. 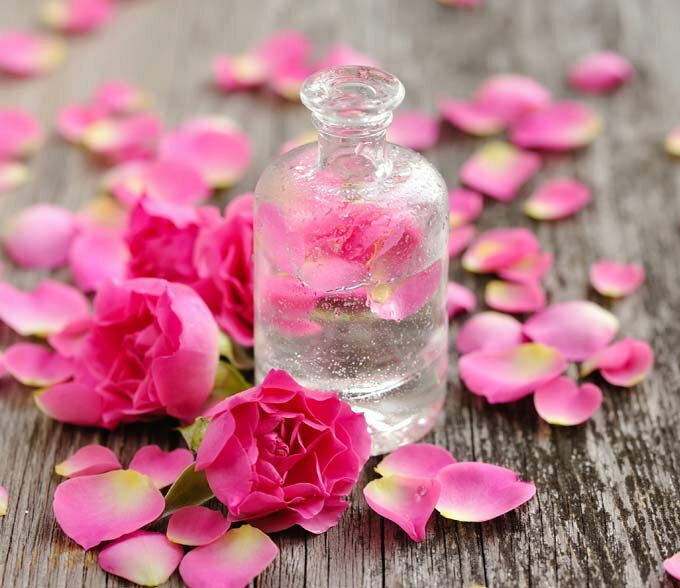 There are around a million ways of using rose water for treating dry skin, making it radiant and glowing. Read on the post to find out some interesting ones. Make use of this delightful product once and I am sure you will totally love how your skin will look! If you have a sensitive skin then rose water is a spectacular product. Rose water has the rudimentary anti-inflammatory as well as anti-oxidant properties that help to soothe out the irritated and sensitive skin. You can use it as a toner and simply cleanse your face with it on a cotton ball. However, it is imperative to note that people with a sensitive skin type should make a little extra effort and scan he ingredient list once in order to ensure skin protection. Rose water deep cleanses the skin removing all the skin bacteria as well as excessive sebum produced by the sebaceous glands. It can effectively used as an important ingredient of different anti acne facial packs and toners to enrich your skin. If you are planning a vacation, just don’t forget to carry your very own bottle of rose water along! Again, the anti- inflammatory actions of rosewater helps to prevent sunburn and treat any skin redness or burning. You can refrigerate the rose water and spray it on the skin when you return from the sun. This will keep your skin hydrated as well as give you a refreshing feel. Rose water is a great remedy for hydrating dry skin. Mixed with other organic ingredients such as glycerine, rose water helps to smooth the flaky skin. You can use it as a toner after cleansing your face thoroughly. This will help to remove all skin impurities. We shall discuss about this head in detail in the following post. An important fact to know is that skin aging is caused due to various factors such as pollution, chemically treated skin products, UV rays, unhealthy dietary patterns etc. All these harmful radicals can be successfully negated by the anti- oxidant action of rosewater. However, it is not a substitute for the various anti-aging creams available in the market. People of Which Skin Type can Use Rose Water? 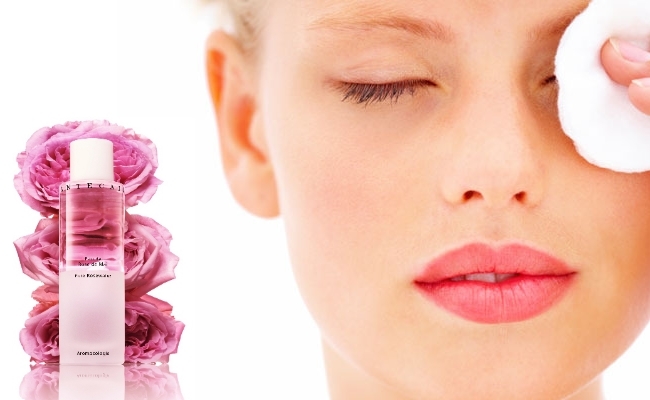 The essential properties of rose water make it highly suitable for all skin types. It not only treats dry skin by providing it with the necessary hydration but also helps to tone the oily skin. Also, the anti-inflammatory properties of rose water soothes out the sensitive skin. How to Choose the Rose Water? Purity- Check if the rose water you are buying is 100% pure. You can check this from the bottle label itself. Ingredients – Always have a look at the ingredient list at the back of the bottle. It should not contain any preservatives or harmful chemicals. Source of Rose – Well, I would always prefer the rose water made from locally available roses as that will help the product in maintaining its essential freshness and fragrance. Smell – If possible, try to smell the product before buying it. If the fragrance is of anything else but rose, just don’t buy it. Read Reviews – Sometimes it is not possible to test the product. In that case read about the reviews of different people before buying it. You can find out this product on Amazon and can also conveniently check out the reviews before making your decision. You can find a rose water in its purest preparation at a health food store or maybe at an online equivalent. 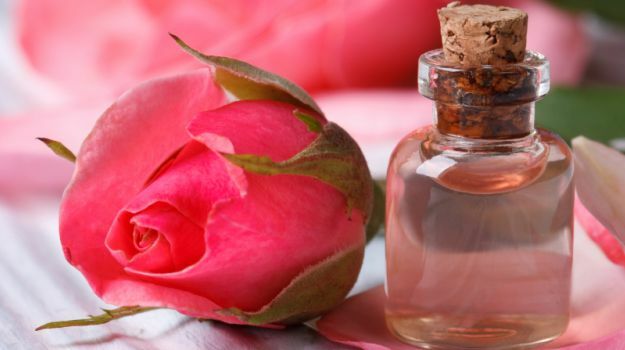 If you are looking for the perfect and slightly astringent blend, look for the rose water that contains glycerine. 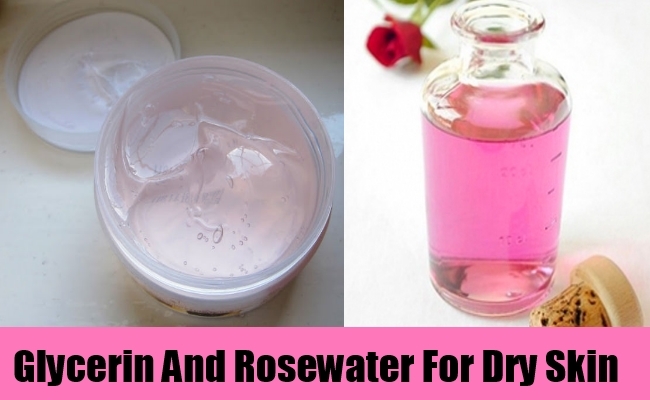 Following are two effective methods that can help you treat dry skin using the very natural rose water. Rose water helps to provide the necessary hydration to your skin. Using it in your everyday moisturizing lotion or cream is a great way of treating dry skin. This not only helps to make your skin soft and supple but also eliminates the skin flaking, ichting and redness. You will find a smoother and radiant looking skin in no time as it will no longer remain tight with dryness. Furthermore, rose water helps to reduce the early signs of aging, wrinkles and ine lines, giving you a youthful look. The process is rather easy. Simply take a few drops of rose water and add it to your moisturizing cream or lotion. Take an adequate amount of the mixture and rub it thoroughly on your skin. You will help much lighter and refreshed. Now you can also make your very own natural skin moisturizer at home with this amazing product. Mix the three ingredients together in the listed quantity and apply it directly on your skin. You can use this mixture twice a day which will ensure a hydrating and healthy looking skin. Using rose water as your daily facial toner is a great way to treat the dry and flaky skin. Almost all the facial toners that are available in the market today contain traces of alcohol and other harsh chemicals that do nothing more that stripping away the natural moisture of your skin, making it even worse. 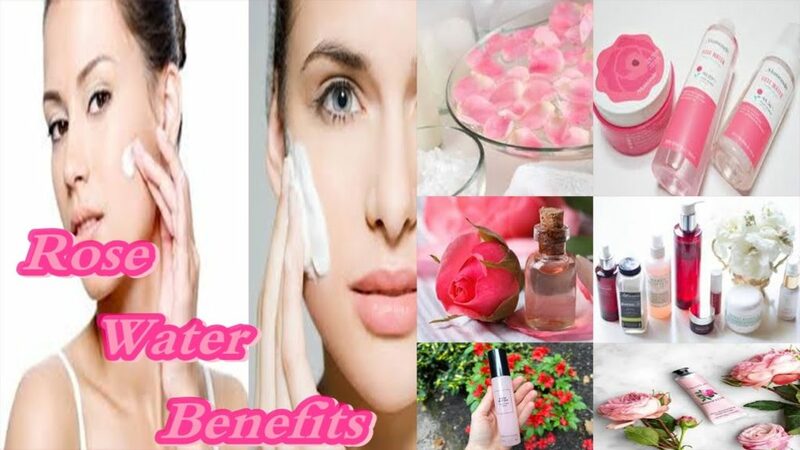 Instead of experimenting much with your sensitive and dry skin, you can simply go in for the all-natural rose water which indubitably is the best option for ensuring a healthy skin. Using this as a facial toner is extremely easy. After thoroughly cleansing your face, all you need to do is soak a swab of cotton into rose water and rub your face with it. This will help to remove all the dead skin impurities, dirt or any residual makeup. It is a great idea to refrigerate the rose water and apply it chilled on your face. This will add extra moisture and revitalize your skin. It will give you an even skin tone and treat the early signs of aging, flaking, redness etc. it is a great idea to incorporate it in your daily beauty regime and flaunt a glowing skin. It is a great way to use rose water in combination with glycerine and olive oil to treat dry skin. The amazing mixture works wonders for dry skin. While rosewater helps to give an even skin tone and the necessary hydration, glycerine makes it moisturized and supple. Olive oil on the other hand adds the required glow and skin radiance. Mix all the three ingredients in the given quantity to form a thin paste. Apply it to your face and neck area to rejuvenate your skin. Leave it for 15 minutes. Rinse with cold water. Best time to apply this is early in the morning or before going to bed. From all the above discussion, you can easily tell that rosewater is a lovely treat for your skin, especially if it’s too dry. The multifarious benefits to your skin will by largely unmatched by its limitations. But don’t go by my word alone. Try it once and see how your skin feels. I am sure that this rosewater bottle will find a permanent place on your beauty shelf!